February 11 is celebrated as Promise Day all over the world. The fifth day of Valentine Week is the day when people reaffirm their commitment to a relationship and make promises for a lasting bond. It is a day not just for couples, but also for friends and family members to promise their love and affection to each other. On Twitter, however, Promise Day has also become an opportunity for people to post hilarious tweets. 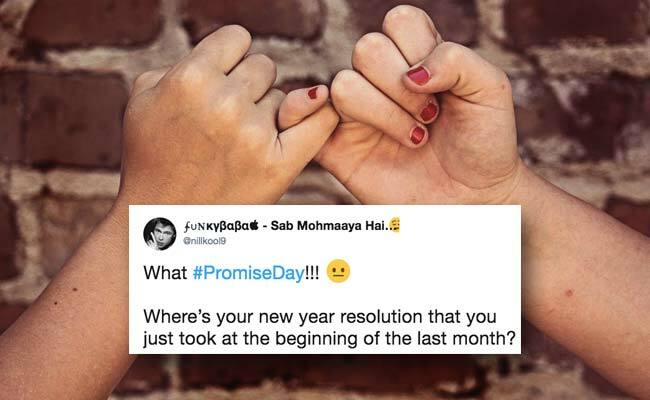 Tweeple are using the hashtag #PromiseDay to not only make promises to their loved ones, but also to share posts that will make you laugh out loud. From making fun of forgotten new year resolutions to cracking PUBG jokes, these tweets will show you Promise Day in a completely new light. Promise Day is followed by Hug Day, Kiss Day and finally – Valentine’s Day. You can read more about the days of love here. Which #PromiseDay tweet made you laugh out loud? Let us know using the comments section below.